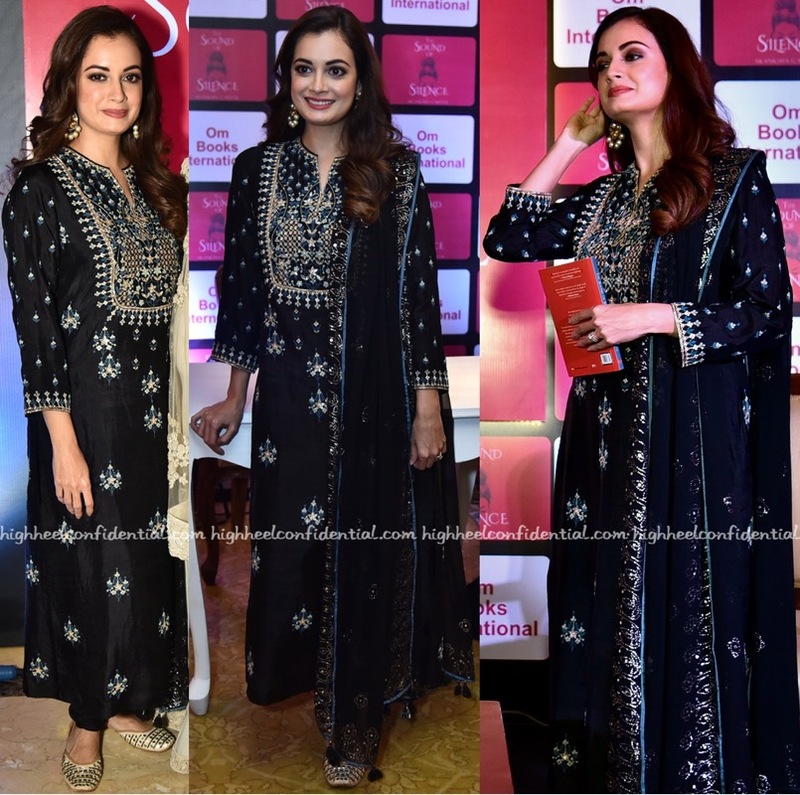 Wearing an Anita Dongre suit, Dia attended a recent book launch. Traditional earrings and Fizzy Goblet jootis rounded out her look. She looked nice.